We all lead busy lives, work, kids, parents, groceries, taking care of our homes, run-run-run. Our society is all about multi-tasking. How many times have you worked on your computer while “watching” tv at the same time? If you are a crafter you are probably familiar with working on a project while watching TV, or redirecting the kids or perhaps you haven’t even found a way to spend a few minutes working on that project in ages. Well, here’s your opportunity! Jennifer Daggs, of Kerensamere Studios, is leading a Mindful Crafting sessions weekly! 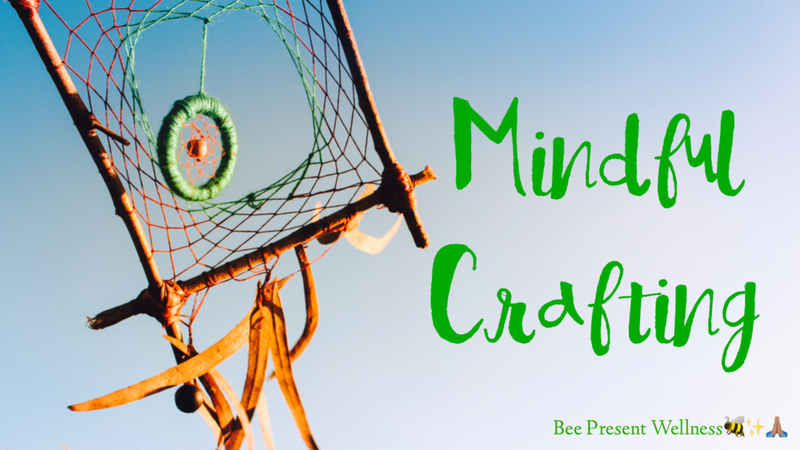 Mindful Crafting is a new movement that is gaining popularity around the globe. The concept is simple: work on your craft and nothing else, be present and mindful of what you are doing only. It’s actually a form of meditation. This is particularly great for those that want to try meditation but don’t know how or can’t stand to sit still and do nothing for any measurable period of time. Here you can sit amongst other creatives and just do your craft, no interruptions for one hour, just bask in the process! Bring your project and supplies and join us at the Beehive. Jennifer will lead the group in a quick check-in followed by a centering meditation and then we will quietly work on our projects for an hour. Don’t have a project at the moment? Jennifer will provide adult coloring books and colored pencils! At the end of the hour we will clean up our projects and enjoy light refreshments and conversation. We will meet weekly, so we will be building a community in the process. To help build this community members of the Mindful Crafting group will be invited to join a private Facebook page where Jennifer will share tips on and articles about mindful crafting along with other inspiring images, quotes and ideas about creativity. Members are invited to share things on the page that they find inspiring or related to mindful crafting as well as photos of their own projects in progress and of course photos of completed projects! Projects should be quiet, no power tools or noisy processes please. If your process is messy please bring a drop cloth to go under your work area to make clean up easier. Tables and chairs will be provided, plenty of floor space is available. We may have music playing quietly, but we ask that you hold your conversations until the end, respect that others are trying to be mindful of their own work. Investment: Drop in $12 per nigh with cash or check please. A self proclaimed life-long artist, Jennifer Daggs has been creating things with her hands for as long as she can remember. She started selling her artwork when she was in elementary school. Since then she has taken numerous courses in art and crafts over the years, including taking an Art Minor to go with her degree in English/Communications from Lebanon Valley College. Now she specializes in stained glass jewelry, sculpture and mobiles in her home studio in New Cumberland. In 2018 Jennifer launched her Creative Women’s Play Dates at Bee Present Wellness, offering monthly arts and crafts workshops. A newly Certified Therapeutic Art Life Coach Jennifer will be continuing to offer her Play Dates as well as a Mindful Crafting series and other workshops at Bee Present in 2019 and beyond.